Notes: CMP. 50 Div Pro Coy. 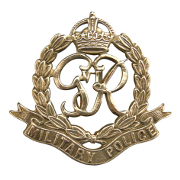 Enlisted in the Royal Army Service Corps. 11/1/41 Transferred to CMP. 10/7/43 Killed in Action. Name spelt Westcott in LG 36327. Amended in LG 36539. 50 Div Pro Coy died at sea with L/Cpl Saul named on Cassino Memorial panel 13. Noraman Alexander Westcott. Citation: Middle East. Errata for 233478 Pte. (actg Corps.) N A Westcott CMP substitute 234478 Pte (actg Corp) N A Wescott CMP LG 36539, 2520 1/6/1944.